Alternative Dispute Resolution (“ADR”) refers to any means of settling disputes outside of the courtroom. ADR typically includes early neutral evaluation, negotiation, conciliation, mediation, and arbitration. As court are inundated with litigation, the cost of litigation keeps rising, and time delays continue to plague litigants, more states have begun experimenting with ADR programs. For example, Texas is one of the leaders in using ADR as a means of solving a dispute. Some of ADR programs are voluntary; others are mandated by courts. 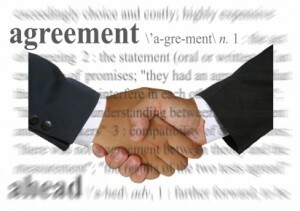 The two most common forms of ADR are mediation and arbitration. Both of these are services offered by Back to Yes. Please contact us for further inquiries.